Despite the fact services and apps like Instagram, Twitpic and PicPlz are growing in popularity on our mobile devices, it seems that in actual fact more users are uploading photos to the micro-blogging platform via Twitter’s own photo service instead. But what does this actually mean for third party developers? According to new research featured on ZDNet, Twitter’s (fairly new) photo sharing service, which is powered by Photobucket, is now the number one way users put their photos onto the social network. It could be said that this means we’re favouring simple image uploading over adding filters, tags and editing, but instead we don’t think apps such as Twitpic, Yfrog and (our personal favourite) Instagram have anything to worry about. Although Twitter’s in-house photo service ruffled a few feathers when it was first introduced and the social network was accused of damaging relations with developers, we really doubt dedicated users are going to be ditching their favourite photo apps anytime soon. Instead, we suspect that people use different services for different purposes, so a user may upload a quick snap of a meal directly to Twitter, whereas that lovely sunset must be shared through Instagram. 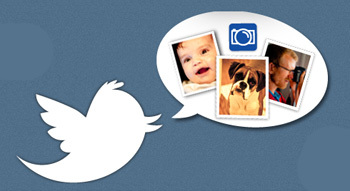 Do you use a mixture of both Twitter and Instagram to share your photos? I try to avoid using the twitter service because I was under the impression that twitter then has copyright of the image! Also I think those that like to edit photos and add filters and those that want to upload a photo to twitter are sharing and taking photos for different reason and are from different perspectives when choosing instagam vs just uploading an image to share on twitter. As well instagram I believe isn’t yet available on other platforms than apple OS at the moment.